Thais—1200 Years of Italian Sculpture. Scroll down to Benvenuto Cellini and click the thumbnail of his famous bronze of Perseus. 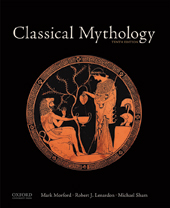 Read section 3 of Frazier’s Summary of Apollodorus handbook of mythology dealing with Perseus. At any point you can click on the reference number in the text to take you to the fuller treatment in Apollodorus himself.